After chemotherapy I embarked on a quest to build a bionic immune system. Since then I have included the goals of curing my frequent sinus infections and improving my insomnia. My journey has led me in some interesting directions, most recently to a trip to a therapeutic salt cave. Salt therapy is used as a natural cure for many skin and respiratory ailments, and also to generally strengthen the immune system. Although underground salt caves have been used as a healing aid for many centuries, artificial salt caves are just beginning to spring up in the United States. 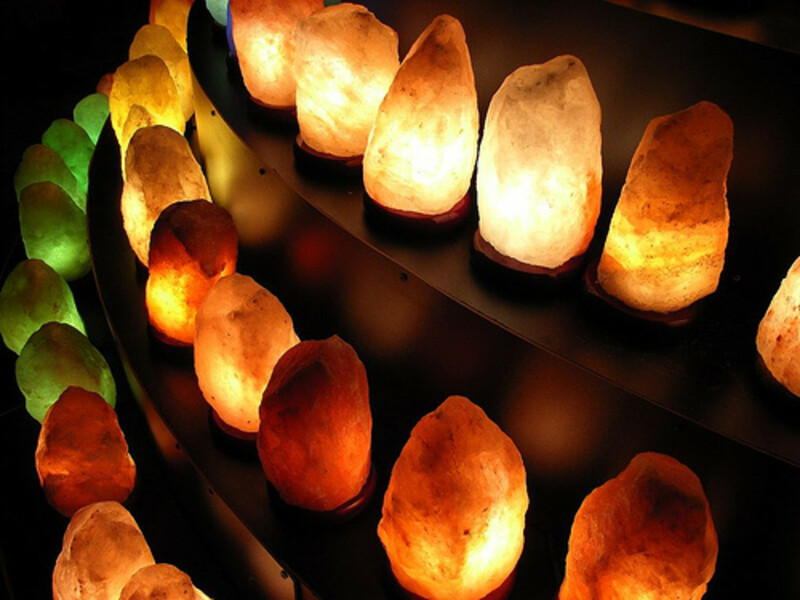 An artificial salt cave is an enclosed room whose floor and walls are covered with Himalayan crystal salt, an unrefined,unprocessed salt containing 84 minerals. A generator grinds salt into small particles that are then circulated through the air, allowing the salt to be inhaled and absorbed into the body. The cave is supplied with comfortable reclining chairs, and the environment is enhanced with peaceful music or calming sounds. Blankets are provided for warmth, since body temperature tends to drop as a person relaxes. Naturally occurring salt mines have been used for their therapeutic benefits for centuries. The ancient Greeks used salt to cure respiratory ailments and many Indian cultures cleansed their respiratory passages through salt inhalation. It's a fascinating fact that workers in salt mines maintain extremely healthy respiratory systems and manage to avoid lung diseases. The artificial salt caves are an attempt to recreate the healing environment of such naturally occurring salt mines. Would you ever try a salt cave session? What are the Health Benefits of a Salt Cave? Although I knew that at $40/session this experience was guaranteed to help to clean out my wallet, I wanted to see if it also helped clean out my sinuses. It was worth a try since there are absolutely no side effects. When I walked in I was greeted by a very friendly woman at the desk whose enthusiasm indicated that she was the owner. She told me it takes approximately ten sessions to reap the long term benefits - consistent with the 10-15 session recommendation that I had found during my research. The etiquette of this particular salt cave required white socks (so oils from the skin don't contaminate the salt); no touching the salt (other caves actually have children's rooms that allow them to play in the salt); and dictated that electronic devices were allowed but must be turned off. Furthermore, no talking was allowed in case others chose to use the time to meditate. Although the session was supposed to start and end at a specific time, the attendant allowed us to go into the quiet, dark room 5 minutes early to get settled. My husband and I went in right away, and a few minutes later we were joined by a woman with her teenage son. We all made ourselves comfortable on the reclining chairs, and everybody but my husband took advantage of the available blankets. 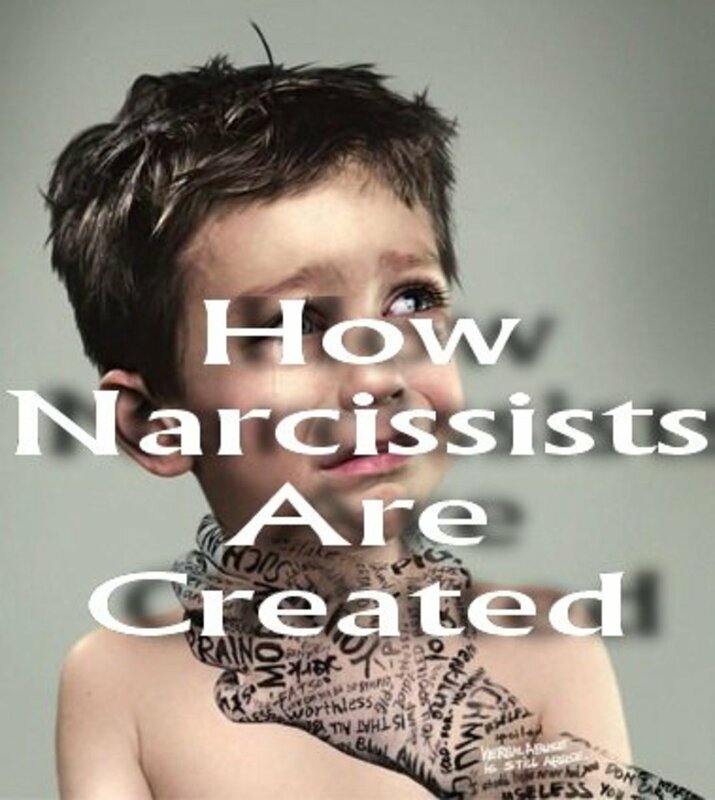 Exactly on time, the lights dimmed even more, a fan began to blow, and a soothing voice began to summarize the benefits of the therapy and outline the basic rules. Immediately after that, peaceful music commenced, which alternated with sounds of the crashing waves of the ocean over the 45-minute session. It began to get colder by the minute so I was grateful to have a warm blanket. The attendant had told me that as the body relaxes the body temperature beings to drop, but I think the temperature in the room was also just a little too cold for me. I closed my eyes a few times but never really got into a state of deep relaxation due to my awareness of other people around me, along with my husband browsing the Internet the entire time on his smartphone. I decided that the important thing was to just breath in the salty air and reap the health benefits. However, I was a little bored and resolved to bring a Kindle the next time, assuming it is allowed. After signaling to my husband to show me the time on his cell phone several times, the session was over. The owner asked if I noticed any alleviation in my sinus congestion, and I am sure I felt at least a marginal clearing. Although the improvement didn't last the full day, I am willing to consider that there may be a more lasting benefit if I completed the recommended 10-15 sessions - though I also have to wonder if that is just a way to convince me to drop a sizable amount of money. Although I didn't feel like I had relaxed, I kept yawning and felt sleepy the rest of the day. Would I try it again? Absolutely! Mainly because 45 minutes of peace reduces stress, but also because I suffer from insomnia and chronic sinus issues and am willing to try anything that doesn't have any harmful side effects. My husband said he would not do it again because he likes to be productive at all times, and having to sit still actually increases his stress (though he did admit he wouldn't mind if he could use his laptop). Now that I know what to expect I think I will be able to achieve a state of deeper relaxation. After a few more sessions I will know whether this therapy is in any way effective for me, and I will then update this article. I'm looking forward to a few more sessions of such "research". I hope you get a chance to check out a salt cave. I had to adjust to the fact that I couldn't talk when I went with a friend but it is very peaceful and cleared my sinuses. I think it's time for another trip. Nice to see you again vocalcoach! I've been curious about Salt Caves and very happy to find this hub. I love the photos and the informative presentation. Now I want to visit a Salt Cave. Thanks so much and happy to share! It is very peaceful and fun to go with a friend although there is no talking. I think it would be fun to have one that allowed talking. Thanks for stopping by! I've never heard of this before, very interesting. It was very peaceful WriterJanis! I would like to try more sessions some time and see if I get better results and then I will update this article. Nice to see you again and I hope you had a nice holiday! It sounds like quite an interesting experience, although it's too bad you didn't get more results. @Peggy W...I have an electric version of the neti pot but have not used it consistently. I use it for three days and get lazy and stop but I should try it for a month to see if I get results. Some of my friends have had success with it. I find antibiotics work like a miracle in 24 hours but would much prefer to use a safer alternative. Thanks so much for your visit and comment. They are just becoming popular and I hope they do come to your country one day. 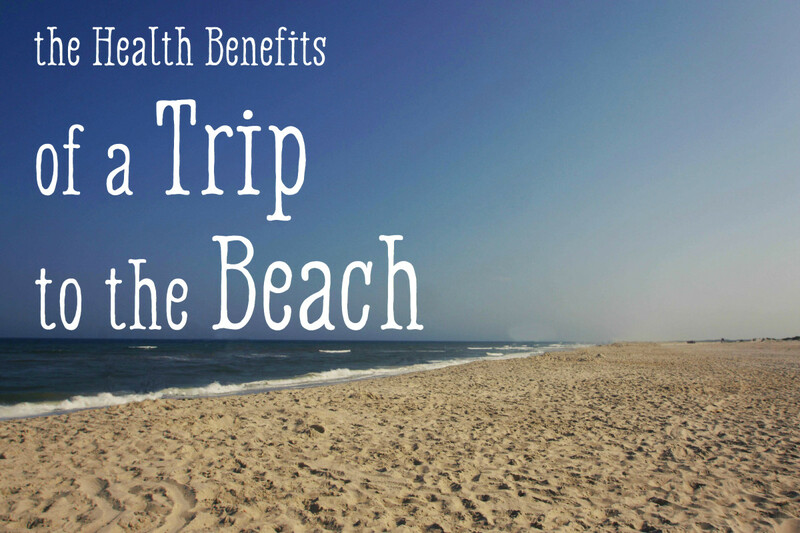 It is great to get a health benefit while relaxing at the same time. Thanks so much for your comment and vote. I always appreciate your visit! Hi Heidi! I hope you do give it try! I am eager to try ten sessions once the kids return to school but I will definitely bring my kindle this time. Thanks so much for taking the time to read and comment! I had not heard of these man made salt caves. For my sinuses I use a Neti Pot and salt solution. Really works well. If you have sinus problems I would heartily recommend going to your local drug store and purchasing one. They are inexpensive and the salt solution used regularly even clears up bacterial infections should you be unlucky enough to have one. Works even faster than antibiotics in my experience. I'm so glad you learned something new from this hub ologsinquito. I love learning new things and have learned a lot from so many great hubs on this site. Salt Caves are beginning to become popular and I'm eager to try the ten sessions to discover if there are long term benefits but will have to wait until September for that when the kids are back in school. Thank you so much for the vote and the pin!! Hi Sue! 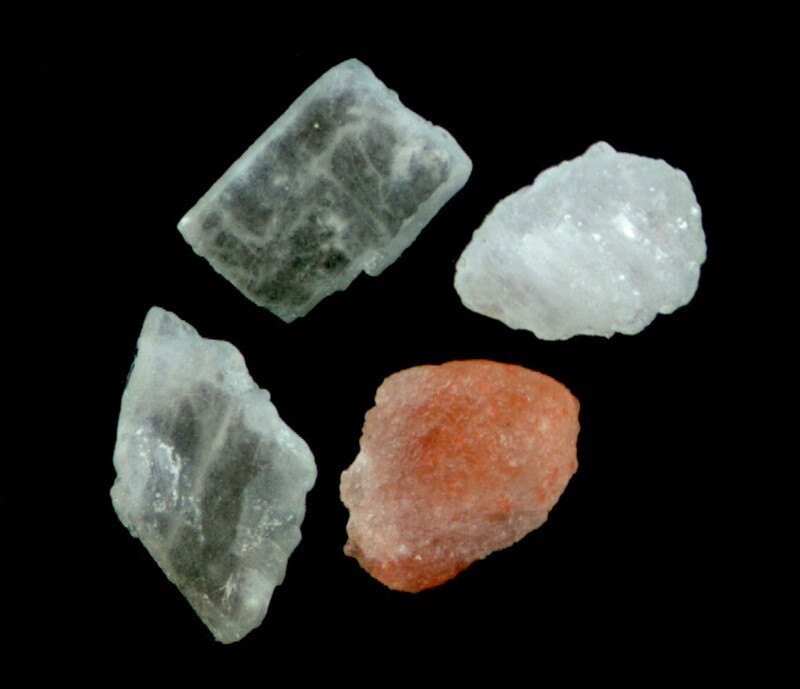 The salt provided 84 minerals that the body is often depleted of. There were a few of the lamps in the cave and I'm sure they help to create a peaceful atmosphere in your house.I so much appreciate the vote,pin, and share!! @Steel engineer...Even a hot shower helps clear my sinuses a little but the steam doesn't completely prevent infections. Maybe if I used steam a few times a day consistently it would be more effective. Thanks so much for taking the time to read and comment and for your helpful suggestion. I've been thinking about trying this for some sinus issues myself. Thanks for sharing your experience so I know what to expect! It was a little bit of a challenge to relax but if you take some reading material and don't have the expectation of achieving a state of really deep relaxation you might enjoy it. The claim was that it is in the low 70's but it felt much colder to me but the blankets helped a lot. The woman next to me slept and 45 minutes of sleep is always a good thing. Your comment and good wishes mean a lot..thanks for stopping by! 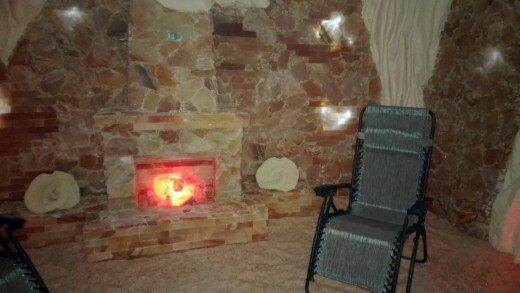 @harmony155..The salt cave I went to was by itself but they are now being added as a spa treatment in some locations. Not only is it relaxing but very beneficial to your health. I hope you try it. Thanks so much for your comment! This is an absolutely great article on a very unusual topic. I've never heard of salt caves, although I'm aware that Himalayan salt is incredible. Voted up and I'm going to "pin it" as well. Interesting hub. Thank you for sharing this and explaining about Himalayan Salt because I didn't really fully appreciate the health benefits of it. I have a few Himalayan Salt lamps because I love the glow they give off but I didn't realise they were good for me too. Voted up and interesting, pinned and shared. 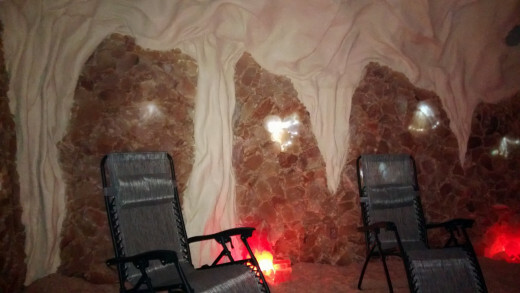 There's a spa called Jeju spa (korean)in Atlanta that offers different caves including a salt cave that you can sit in. It's quite nice but doesn't realize the benefits until I read this hub! Breathing steam is a good way to kill stuff in the nose. Put a just-boiled pot of fresh, clean water in a sink. Drape a towel over the back of your head, and lean forward over the pot. Take your first breaths carefully until you have a sense of how hot the steam is. A few weeks ago a friend told me about salt caves. That was the first I was aware of them. I think your trip to the ocean definitely had an impact Jeannieinabottle especially since you saw a significant improvement after only one day. The salt caves are now being used for children with asthma,cystic fibrosis, and other respiratory ailments while they play in the salt caves and found to be very effective. Thanks so much for your comment and visit. I appreciate it! Interesting experience. I like the salt aspect of it but am not sure how much I could relax in a cold room full of strangers with nothing to do. I'd probably sleep. Glad you wrote about your experience. I wish you the best of health. 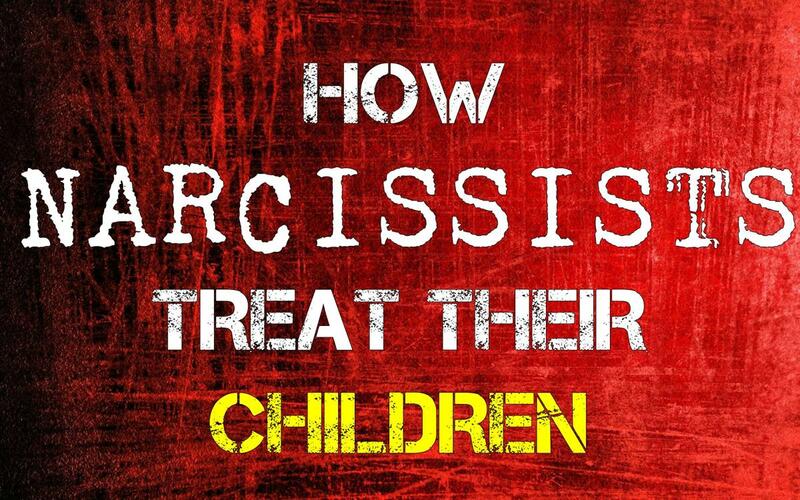 Very interesting and useful information within this well written article ! This is so interesting. I had never heard of a salt cave before until I read this hub. 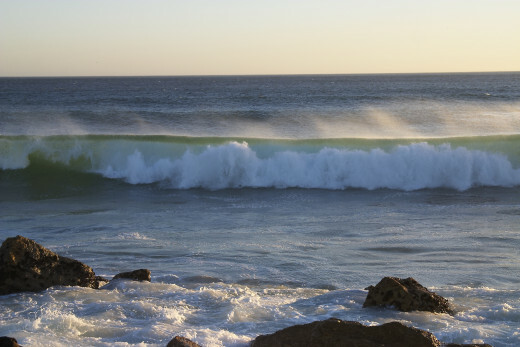 I've always heard that it is healthy to go to the ocean to breathe in the salt water air, so this makes sense. One time, I was fighting off a sinus infection for a couple of weeks, but decided to go the ocean anyway since the trip was already planned. Within one day, my sinuses felt better. Maybe it was a coincidence, but I will never know. Thank you for sharing your experience with us. The Himalayan salt has been used throughout the world for its health benefits so it's about time that it started catching on here in Connecticut. I really appreciate the vote and share! Very interesting and as expected as Himalayan salt has been known to have many health benefits.